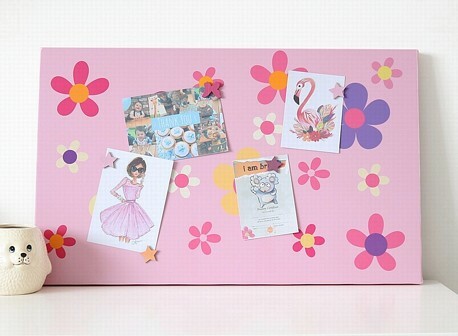 This magnetic noticeboard will compliment any girl's room and is the perfect place to display invites, artwork, photos and notes. Made using stretched canvas the board comes with four hand painted co-ordinating magnets (Extras can be ordered under accessories) and has a hook on the reverse ready for hanging. Can also be personalised for £10 extra- see under personalised boards.